Miami Dolphins wide receiver Kenny Stills was in Charlotte on Wednesday, his first stop on a tour of the South in which he’s looking to connect with community organizers in different cities to see how he can help with social issues people are facing there. 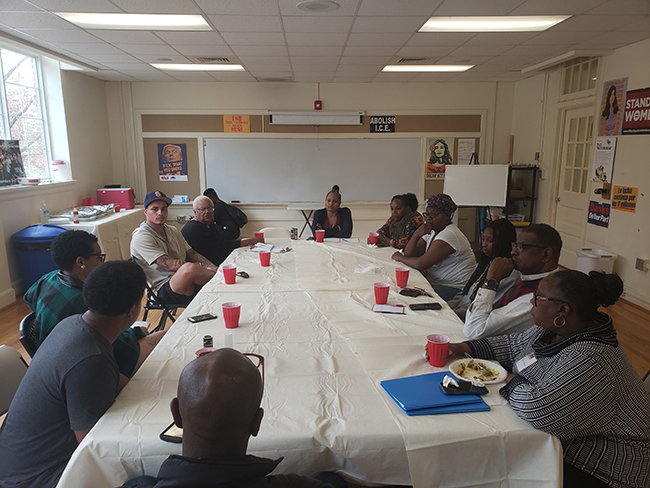 At a lunch with community organizers representing organizations like Safe Coalition NC, Historic West End Partners and Action NC, Stills heard about a range of issues Charlotteans are facing, with much of the conversation centering around housing. After the lunch, Stills toured the Historic West End with HWEP president J’Tanya Adams to learn firsthand how families who have lived in the area for generations are being pushed out as developers and investors take a new interest in its historically black neighborhoods. Stills made a similar trip around the South in 2018, but said he didn’t make much of a connection with anyone in Charlotte, where he attended the Women’s March and met with just a few people. On this trip, he’s hoping to get a better grasp on issues that Charlotte’s most vulnerable populations are facing, he said. Stills also entertained the potential of working with Carolina Panthers players Eric Reid and Torrey Smith, who have been involved in local social justice issues like bail reform. Bree Newsome, a local organizer who helped organize Thursday’s events, has been working closely on displacement issues in Charlotte communities in recent years. She said she was happy that someone with Stills’ means is interested in getting involved. Newsome was encouraged by the fact that someone like Stills, who seemingly has no connection to Charlotte — he grew up in San Diego, played college football in Oklahoma and currently plays in Miami — is sincerely interested in learning more about local issues in the city and others that he will be visiting in the weeks to come. After touring the Historic West End with Adams, Stills toured Brookhill Village with local photographer Alvin C. Jacobs Jr. Planned development has lead to the displacement of hundreds of people in Brookhill Village, with more to come. The neighborhood is the subject of an exhibit put together by Jacobs and currently on display at the Harvey B. Gantt Center for African-American Arts + Culture. 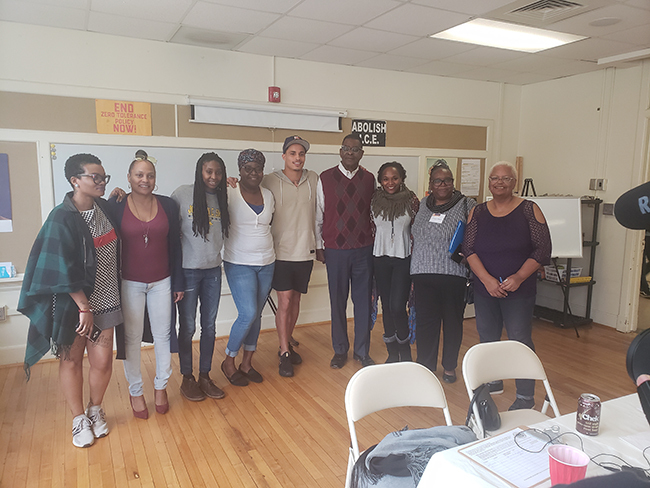 Before leaving for the neighborhood tours, Stills said he noticed how prevalent the issues housing and displacement were on the minds of the organizers he met at lunch. After the tours, Stills planned to have dinner with Charles Thomas, director of the Knight Foundation, to further discuss what he had seen throughout the day and how he can be a part of potential solutions. After leaving Charlotte, Stills plans to meet with community organizers in Alamance County and in the Raleigh-Durham area. Other stops on his tour include towns and cities in Alabama, Mississippi, Louisiana, Kentucky and Tennessee.